With this year's improvements, the Sienna is inching toward Chrysler levels of content, but it remains slightly more expensive than comparable models of the Dodge Grand Caravan. The 2015 Toyota Sienna only lags behind its main competitors in seating flexibility and fuel economy, while a freshened interior and massaged exterior keep it at the forefront of minivan stylishness—if there is such a thing. Minivans such as the 2015 Toyota Sienna have a tough mission: keep occupants happy and occupied in their on comfortable spaces. Minivans aren't usully considered the coolest shapes on the road, but they're one of the best ways to move a large group of people or a whole lot of stuff. For 2015, the Sienna receives upgrades, new options, and a general refresh that should help achieve that mission. The Sienna's one of the best-selling minivans in America, and for good reason. 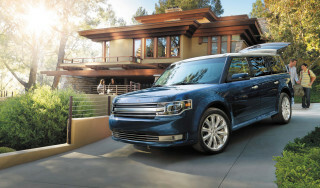 It's spacious, safe, posts good fuel economy figures, and vies with the Honda Odyssey with its flexible-seating game--though both still lose that scrimmage to Chrysler's pair of people-haulers, the Dodge Grand Caravan and Chrysler Town & Country. Few of us shop for minivans based on style, but Toyota at least makes the effort to bring the Sienna into a modern flow. The front end shares the latest Toyota design cues, with a low grille that tapers upward softly into a roofline that does nothing to upset tradition--not like the Honda Odyssey's lightning-bolt side cue, or the Nissan Quest's ape of the Ford Flex. It's a tidy take, free of controversy, and full of utility, since the regular, rectangular shape plays out directly into vast interior space. The cockpit's styled with a bit of drama, and a bit too much grainy plastic, but it's organized with care. 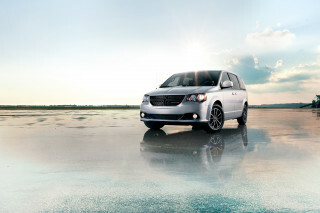 Minivans are all about space and functionality. At more than 200 inches long, and more than 78 inches wide, the Sienna's a big van. There's space everywhere, even in the third row. The front seats get a regal seating position, and even in the second row, a pair of airline-style reclining bucket seats are available (now only on front-drive Limited models). The basic bench is comfortable, with expansive head and leg room--and it slides on an elongated track so that either second- or third-row leg room can be expanded. It also aids in loading passengers into the third row. The second-row seat can be removed entirely, but does not fold away into the floor--the Chrysler minivans' special trick. The third-row seat does fold flat, and with it stowed and the middle seats pushed forward, the Sienna has 150 cubic feet of cargo space. Toyota has also stiffened the chassis and made aerodynamic improvements, although the latter doesn't seem to have had any effect on EPA fuel-economy ratings. This model's four-cylinder engine is now long gone, too, so all Siennas come with a 3.5-liter V-6 with 266 horsepower, coupled to a six-speed automatic. Performance is brisk, although gas mileage has dipped overall in the past several years with the loss of the base four-cylinder, while it rose on the Honda Odyssey. Handling isn't quite as crisp as the Odyssey, but the Sienna's electric power steering and independent suspension are sorted out well, without much body roll. The SE version has slightly more direct feel, although to be fair it's a very subtle distinction to be drawn—one we think gets missed by most minivan shoppers. 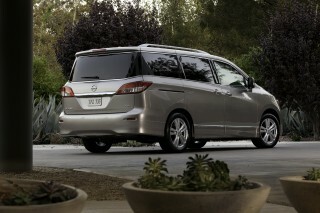 The Sienna does hold the distinction of being the only minivan still available with all-wheel drive. For 2015, most models get a new grille and updated head- and taillights. A revised interior includes easier-to-operate controls in some areas, as well as new gauges and larger center screens. Toyota claims to have improved the cabin materials as well as the steering wheel. Standard safety features include curtain airbags and stability control, while Bluetooth is available, and blind-spot monitors are now standard on upper trims. For 2015, a backup camera is now standard across all trim levels. There's also an additional airbag, located in the front seat cushion, to bring the total to a class-leading eight. And Toyota has increased the number of LATCH anchor points from three to four. All Siennas come with dual sliding side doors; power windows, locks and mirrors; cruise control; a CD player and aux jack; a tilt/telescoping steering wheel; and three-zone climate control. Upscale versions add a power tailgate and power sliding side doors; steering-wheel audio controls; leather upholstery; heated front seats; a dual sunroof; and a huge 16.4-inch-wide LCD screen and a DVD player to keep the two back rows of passengers entertained. For 2015, there's a new Dualview BluRay entertainment system available, with HDMI, RCA, and SD-Card inputs. The Sienna has been nipped and tucked inside for 2015, with a few new details outside; in all it's handsome but doesn't stray at all from format. 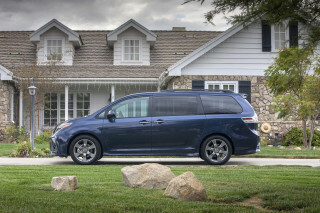 For 2015, Toyota has revisited the Sienna's exterior and interior to breathe a little life into the minivan. The overall shape is about the same, as it has to be to each the goal of spacious family hauling, with the details tweaked to keep things just fresh enough. 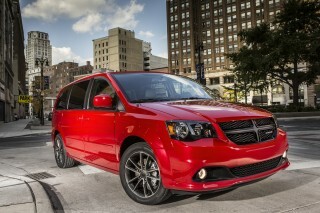 Once again, the Seinna's SE model is the sportiest option—among vans, anyway. In front, LE, XLE, and Limited models get a new grille design, a finned affair that bridges the gap between new LED-DRL-equipped headlights for SE and Limited models. All models but the SE get new taillights with flowing interior elements, while the SE retains its clear lenses. Inside, the center dash layout has been revised to house larger screens, and the gauge cluster is all new as well, getting its own set of new screens between the gauges; lower trim levels get smaller black-and-white units, while the top models get color displays that take up a little more room. The interior materials are also said to have been improved, and there's a new steering wheel design. The modern Sienna's interior divides the driver and passenger spaces with its wide, sweeping dash–leaving the gauges and the controls on the driver's side, while the passenger gets access to the climate and audio systems. If anything it amplifies the sense of space inside the Sienna, as do slimmer seats and a thinner dash, Toyota says. Our main gripe with the cabin is that it was designed during an era when Toyota adopted some unusual horizontal plastic graining that looks dull and almost unfinished, and isn't helped by the matte woodgrain trim that's applied on more expensive models. Much more convincing are the Optitron bright-white gauges on pricey models that mimic the dials found on Lexus vehicles. For such a heavy vehicle, the Sienna performs respectably and handles quite well; and it's the only minivan to offer all-wheel drive. Minivan performance is more of a relative conversation, mostly focused on merging onto the highway and the ability to accelerate off the line. That said, the Sienna SE is designed to offer a little extra driving involvement for those who need a minivan, but don't want to give up driving enjoyment entirely. What's missing from the Sienna performance portfolio is its former four-cylinder option. 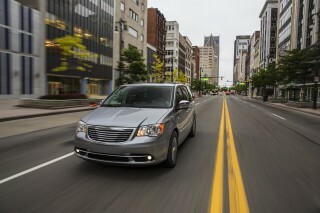 We thought the now-defunct four was a good alternative to the V-6, since it kept the Sienna's price lower. The four's recent departure leaves only the 3.5-liter V-6 and its 266 horsepower as the only engine offered. It's a pleasant one, combined with a six-speed automatic for strong acceleration and fuel economy that's almost as good as the outgoing four. Mostly, we think, it's Toyota's need to install four-cylinders in other cars that brought about the change. The Sienna is rated to tow up to 3,500 pounds, and itself weighs from 4,275 to 4,750 pounds. 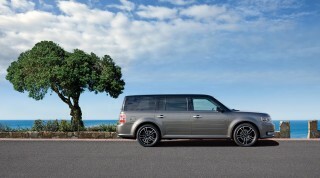 It's the only minivan to offer all-wheel drive, which accounts for the top end of that weight range. The latest Sienna carries over a straightforward MacPherson front strut and independent rear suspension, although subtle tuning changes as well as new welds in the cowl area (said to increase torsional rigidity) should improve ride and refinement, as well as handling at the limit. Electronic power steering is a new arrival, and we found it to be just fine here in the way it loads up and tracks at highway speeds. While it's no sportscar, the Sienna has smooth ride motions and quick steering, making it nicely maneuverable in city driving. With airline-style reclining chairs in the second row and a decent hideaway third row, the 2015 Toyota Sienna favors passenger comfort over all-out cargo convenience. 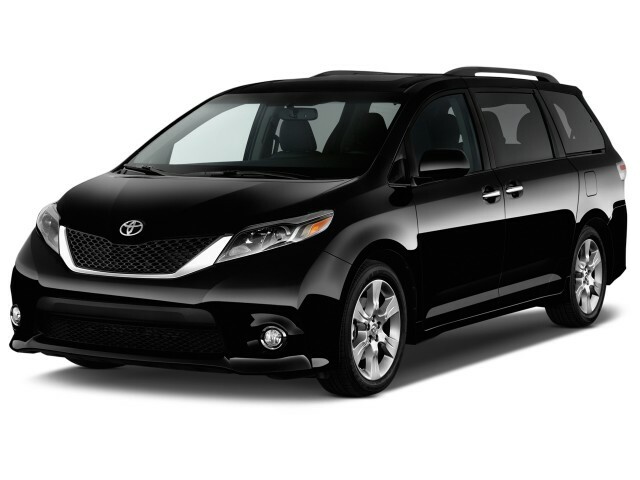 In terms of overall dimensions and interior volume, the 2015 Toyota Sienna is one of the largest minivans you can buy, having grown slightly compared to the previous generation. While we thought the previous interior suffered a bit in richness, Toyota has revamped the materials for 2015, with the instrument panel actually newly contoured. And we think the result is quite good. In front, the Sienna has supportive, comfortable seats with lots of head and leg room. Most versions have standard power front seats, too. The second row is where the Sienna distinguishes itself from most other minivans. The standard setup is a bench seat that slides to expand passenger or cargo space as needed. It also has a removable section that can be stored in the cargo area, to reveal a cupholder and tray--and space to walk through to the third-row seat. The second-row bench can also be swapped out for captain's chairs, or on the front-drive Limited model, lounge-style seats that recline like first-class airline chairs, down to the leg-cushion extenders and footrests. For 2015, those airline-style seats are no longer available on the top all-wheel-drive models. Still, while it's possible to remove the second-row seats, they don't disappear into the floor. The Sienna is a reskin of the former model, and it wasn't designed to allow the middle seats to stow away in that way--a nifty trick formerly available on the Nissan Quest, and still offered in the utility champions, the Chrysler minivans. The third-row seat actually has adult-sized room in all directions. It isn't that difficult to enter-and they fold almost flat into a deep well in the cargo area. With the second-row seats moved as far front as possible, the Sienna has 117.8 cubic feet of cargo room; with the second row removed and the third row folded, it will hold 150 cubic feet of cargo. Even behind the upright third-row seat, there's 39.1 cubic feet of space, almost twice as much storage room as the 2010 Ford Taurus' trunk. The Sienna also can carry an actual 4x8 sheet of plywood. The newly contoured dash places climate controls about three inches closer to the driver than before; bigger buttons and knobs should help frazzled parents; and a new instrument-panel design now includes a reconfigurable display between gauges. There's also plenty of small-item storage inside in the Sienna's console, twin gloveboxes, map and side pockets, and available cargo organizer. The Sienna's crash-test scores have been very good; a blind-spot system is widely available; and a backup camera is included across the model line. The National Highway Traffic Safety Administration (NHTSA) gives the Toyota minivan an overall rating of five stars—as apparently, a very strong performance in that test overcomes its four-star frontal and rollover ratings. The Insurance Institute for Highway Safety (IIHS) has called the Sienna a Top Safety Pick in the past, with top 'good' ratings in all categories. Now it's also put the van through its small-overlap test, where it was rated 'acceptable'—which qualifies it to be awarded a Top Safety Pick+ honor. All Sienna minivans come with side curtain airbags that offer protection for all three rows of seating, as well as a driver-side knee airbag. New for 2015 is a front-passenger seat cushion airbag, which brings the inflatable total to eight. A pre-collision protection system that preps the car for an imminent accident is offered on higher-level trims (enabling the TSP+ rating with an IIHS 'advanced' rating for front crash prevention), as is dynamic cruise control. A rearview camera is now standard on all models as of 2015, while front and rear parking sensors are standard on the Limited. Blind-spot monitors are standard on the XLE and Limited and available on the SE, and they incorporate cross-traffic alerts, for backing out of parking spots more safely. Toyota has also added another LATCH connector location for child and booster seats -- adding up to a total of four positions now in the Sienna. Toyota installs its latest Entune infotainment systems into the Sienna for 2015; and with available wide-screen rear entertainment, upgraded leather, and lots of convenience items, top trims have a luxury-car ambience. The 2015 Sienna is offered in five different trim levels—L, LE, SE, XLE, and Limited. The top three trim levels are available with all-wheel drive. The value-focused L model starts at about $29,000 for 2015 and includes automatic headlights; a rearview camera; blind-spot monitors; three rows of seating, with a fold-away third-row seat and side doors that slide manually; power windows, locks, and mirrors; three-zone air conditioning; remote keyless entry; a tilt/telescoping steering wheel; and a touch screen AM/FM/CD audio system with an auxiliary jack. The mildly sporty Sienna SE has specific suspension tuning, and also gets 19-inch wheels; sport trim; LED taillights; and a leather-trimmed steering wheel. At the most expensive end of the lineup, the Sienna Limited takes the XLE's features and adds a dual sunroof; overhead console; a sliding center console; second-row "lounge seats" and a power-folding third-row seat, as well as a JBL audio system. For 2015, the sliding console and lounge seats are no longer included on all-wheel-drive models. Options on various models include DVD navigation, with Toyota's Entune mobile-app connectivity suite; a Dual View rear-seat DVD entertainment system with an immense 16.4-inch wide pair of screens(which for 2015 adds Blu-Ray, HDMI, and SD-Card compatibility); and premium audio. On a recent drive, we watched the latest Star Trek movie on the Sienna's widescreen system; trust us, you'll want it. 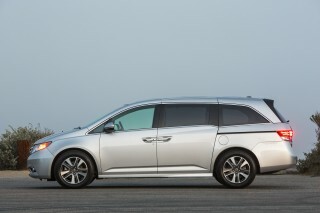 The Sienna continues to lag the comparably sized Honda Odyssey in fuel efficiency. Where's the Hybrid? The Sienna's lone powertrain option—a 3.5-liter V-6—scores slightly lower fuel economy than the class best. 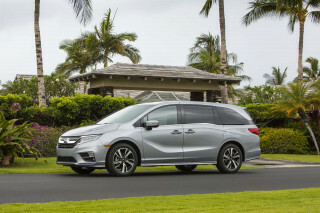 The front-wheel-drive version is rated at 18 mpg city, 25 mpg highway–competitive with Chrysler/Dodge and Nissan, but behind the Honda Odyssey's 19/28-mpg rating. Opt for all-wheel drive, and the Sienna's mileage ratings fall to 16/23 mpg, down 2 mpg on either cycle compared to the front-driver. Toyota still has no plans to add its Hybrid Synergy Drive to the Sienna—which stands, oddly, as the brand's only crossover or sedan that's mid-size or larger not to offer it.